Bitcoin Exchange Traded Fund – Is it Crypto’s Holy Grail? Americans have been waiting on it’s much awaited Bitcoin Exchange Traded Fund (ETF) which many expect to be the next big thing for cryptocurrency. Last year 2017 Bitcoin Futures created quite a hype in December 2017 following a higher appreciation of Bitcoin. 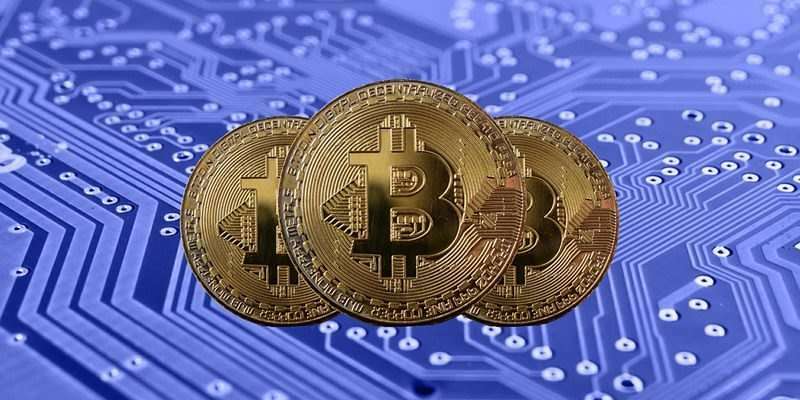 However, following Bitcoin Futures thanks to the Chicago Board Options Exchange (CBOE) the level of Bitcoin has not remained in its upper range value. Europe, on the other hand, has already had Bitcoin Exchange Traded Notes (ETN) along with Ethereum ETN’s thanks to XBT Provider. Bitcoin ETN was launched since 2015 while Ethereum’s ETN was launched in 2017. ETN is not much different from ETF’s, and thus America is lagging far behind. What is the difference between ETF and ETN? ETNs are similar to investing in bonds, while ETFs are investments in funds that track the price movement of an asset. An ETF sounds like an excellent idea for Bitcoin’s. As like many advancements in the crypto space, there are advantages along with disadvantages. No Need of Intermediaries – ETF complies with the main characteristic of Bitcoin which is cutting off intermediaries. ETF’s can be traded on an exchange, and there’s no need of a brokerage to comply with the trade. Less Fees – As there are no middlemen and it works through one point of trade such as an exchange the fees are much lower than a traditional fund. ETF’s are thus more attractive concerning lower costs. Attractive for Institutional Investors – Institutional Investors can start enjoying trading in cryptocurrency. Many investment firms which hold client’s funds have stringent rules and amongst them is the denial of crypto exchanges. Thus as ETF’s promise Bitcoin being in a stock exchange, they can enable investor’s money into cryptocurrencies. More Secure- An ETF provides a safer platform for investors to get in on the crypto bandwagon. Being listed on public platforms such as Fidelity means clients will opt for trading with cryptocurrencies. Cryptocurrency exchanges, on the other hand, have been around for a few years, personifying the Wild West of financial markets. Security Costs More – Due to the extra protection, the fees involved can be expensive. Hence for the short-term investors looking for quick trades, they would not prefer using Bitcoin ETF’s. Less Usage – Since Bitcoin ETF’s are not owned by the investor but by the fund, it means the use cases of Bitcoin will not fulfill. Hence an overall adoption of Bitcoin does not take place but instead a hype which leads to a rise in price. Control by Institutions – As Bitcoin becomes available to the larger investors, the amount of Bitcoin in supply will fall. It will lead to a higher power of it by institutions which means manipulation of prices can take place. It will pose a higher risk for retail investors who don’t have as much capital to control the trade flow of Bitcoin and will depend on Bitcoin whales. Will a Bitcoin ETF ever Exist? So far none of the Bitcoin ETF’s have been approved by the SEC of USA. Mainly due to legalities being the argumentative point. A Bitcoin ETF will be granted sooner or later, as a somewhat similar concept already exists in Europe. A Bitcoin ETF will no doubt help push the price of Bitcoin up and lead to the next bull run. ETF will help simplify the whole process for institutional investors to dive into cryptocurrencies, but the cryptocurrency community needs to understand that the funds hold Bitcoin and thus the use of Bitcoin for real-world scenarios will reduce. From another point of view, the Bitcoin ETF will be great mostly for the institutional investors. And we’ve heard news about cryptocurrency exchanges for institutional investors all the 2018. Perhaps, a Bitcoin ETF is not what Bitcoin needs right now. Maybe its time for people to think less about the Bitcoin ETF and more about how can we increase the cryptocurrency adoption, how can we improve the space, how we’ll get rid of scammers and how to create a better world using the technology brought by digital currencies.